The first local entrepreneurs to participate in Window Dressing's Creative Enterprise program. After putting out the call earlier this summer for local, creatively-minded entrepreneurs who have a great idea but aren't quite ready (or able) to test out their venture in a storefront space, the Spokane nonprofit Window Dressing recently introduced the inaugural class of its new Creative Enterprise program. After brightening dozens of otherwise rundown, unused downtown storefronts with local art installations over the past few years, the creative vitality-focused nonprofit is reaching further with its next venture — placing emerging local businesses in un-leased, empty storefronts, allowing them to test their business models before making a big investment in a permanent location. "It gives creative entrepreneurs an opportunity to test their idea with little risk, and that aspect really appealed to us because it builds infrastructure for young and creative people within the city to succeed," Window Dressing co-founder Ginger Ewing told the Inlander back in July. It's a win-win for both parties, including the downtown property owners agreeing to let program participants use their spaces at little to no cost, for at least six months, or until a permanent paying tenant signs a new lease. A selection panel recently reviewed applications from local entrepreneurs interested in joining the Creative Enterprise program's first cohort, and 14 startups were selected. Before they're able to move into an available space (which may take time to find, as Ewing says careful consideration will be taken to place each business in an appropriate location) the business' owners will take a month-long business development course offered by Spokane Community Colleges to prepare for the move from the basement —where such ideas often start out — to street-level. 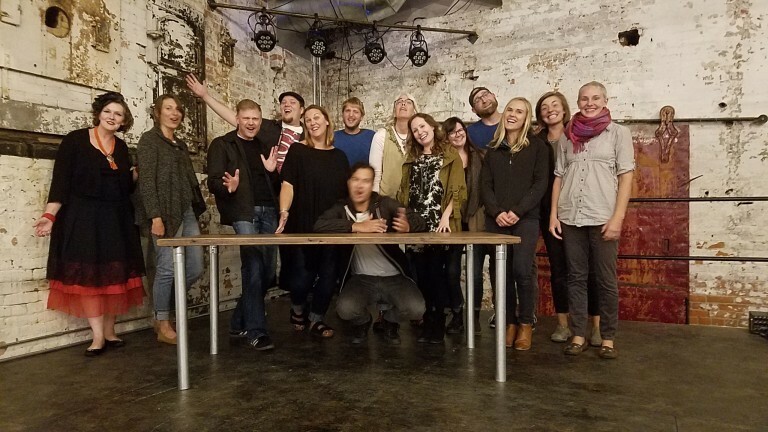 Read more about the Creative Enterprise program, including its benefits on the local economy and what inspired its creation, in this Inlander blog published when the program first sought participants. Old Hat Workshop | A custom woodworking shop; you've seen its owner Jon Tettleton's creations locally at Wollnick's, Casper Fry and The Lantern Tap House. 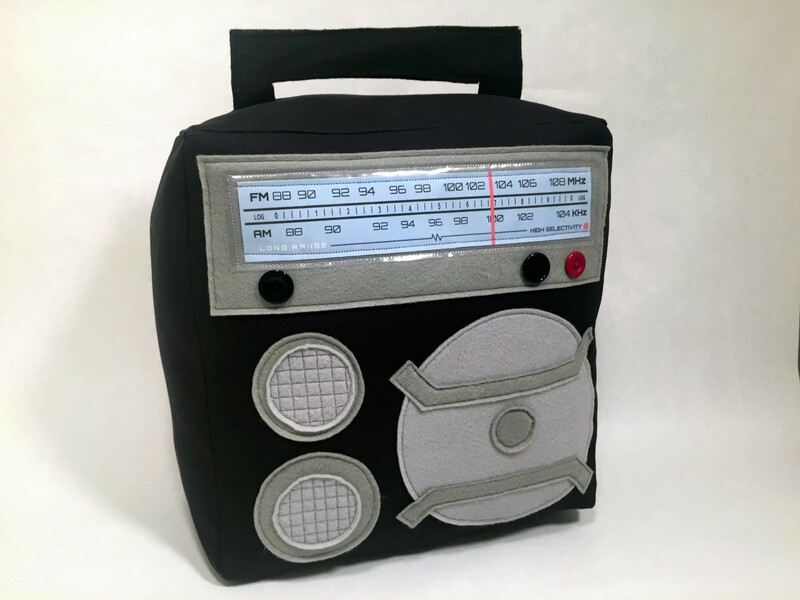 The quirky Burgleteens studio makes fun, handmade accessories like this retro radio throw pillow. Burgleteens Art Lab | A local design studio and maker of hand-crafted toys and accessories, the creative enterprise of Zach Grassi. KJ Pottery | A venture by Spokane-based pottery artist Kelsey Jo Flatoff, whose work you've likely seen for sale not just on Etsy, but also at the Kendall Yards Night Market, and Terrain's one-day arts market Bazaar. Spokanerrific | A retail shop that would sell locally-made art, crafts, designs and more, owned by Lulu Weiland, who currently produces a local blog highlighting the art, people, places and culture of Spokane. The Inlander featured her earlier this year in a story about another creative local project she's involved in, Spokane Artist Trading Cards. Koko & Lou | Handcrafted stamped jewelry by Lindsey O'Brien. Anemone Paper Florist | The familiar Spokane-based paper florist Mary Eberle is teaming up with Window Dressing to develop a new business plan, but won't be placed in a storefront. Unifest Co. | Organizers of local events and collaborations involving music, the arts and entertainment. Run by Matt and Stephanie Bogue, Unifest's recent festivals include its titular May event, Unifest, this year's Steam Plant summer block party series, and the recent Borracho Fest. Moon Rabbit Kombucha Co. | Owner Kailene Tupper hopes to brew, bottle and distribute raw, probiotic fermented kombucha to local eateries and markets, along with opening her own taproom/cafe. F-Stop | A photography studio and gallery by established Spokane artists and photographers Bill and Kathy Kostelec. 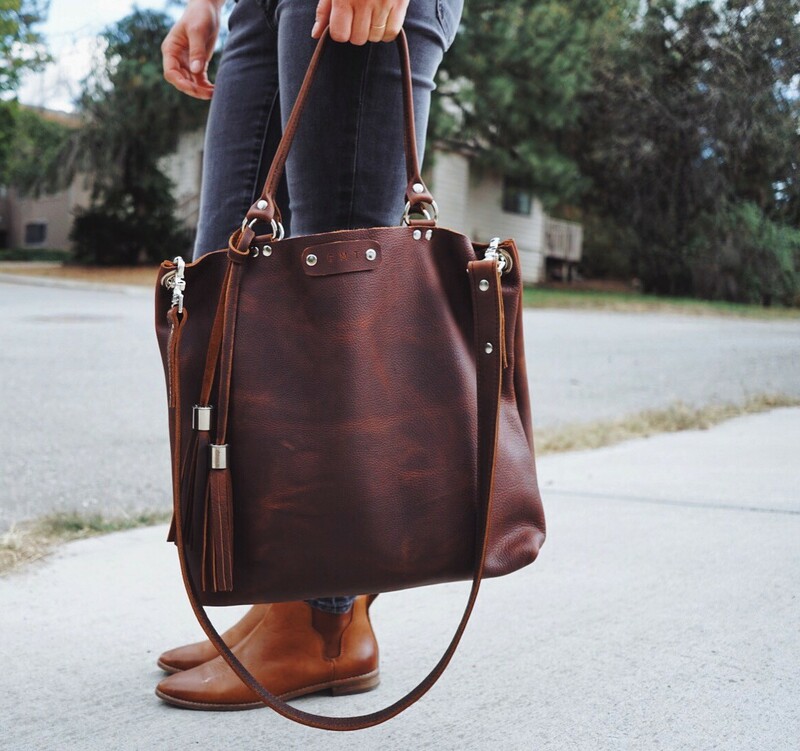 Teddi Cripps makes this tote bag and many other designs at her home studio. Hustle & Hide Co. | The fast-growing venture of Teddi Cripps, who produces handmade leather goods in her Spokane home studio. Cripps currently sells her popular wares online and at local artisan markets, like Bazaar. Art Salvage Spokane | Founded by Katie Patterson Larson two years ago, this local nonprofit collects, organizes and redistributes unused/unwanted materials and supplies that can be used to create arts and craft projects. Art Salvage has resold these goods at ultra-low prices through pop-up shops and at a space at Madelia Mercantile for the past year or so, but is now looking for a home of its own. Mimosa Floral Design | A full-service floral design studio by Erica Williamson. MattSlote Video Productions | A studio for the Spokane-based videographer and editor Matt Slotemaker, who produces interview, travel and documentary projects.